Ischemia, the root cause of Ischemic Heart Disease, is a condition in which the blood flow (and thus oxygen) is restricted to a part of the body. Cardiac ischemia is the name for lack of blood flow and oxygen to the heart muscle. Cardiac ischemia happens when an artery becomes narrowed or blocked for a short time, preventing oxygen-rich blood from reaching the heart. It is the term given to heart problems caused by narrowed heart arteries. 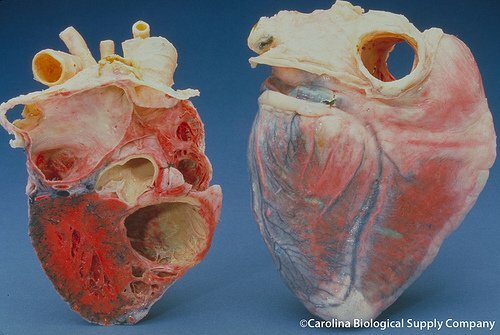 When arteries are narrowed, less blood and oxygen reach the heart muscle. This is also called coronary artery disease (CAD) and coronary heart disease. This can ultimately lead to heart attack. Ischemia often causes chest pain or discomfort known as angina pectoris. Angina pectoris, is more commonly known as angina. This is a chest pain due to ischemma of the heart muscle. The term Angina pectoris comes from the Latin for angina (“infection of the throat”), also derived from Greek “ἀγχόνη ankhonē” or “strangling”, and again from the Latin, “pectus” or “chest”. Angina pectoris translates to “a strangling feeling in the chest”. People who experience ischemia without the pain of angina pectoris, have a heart condition known as silent ischemia. They may have a heart attack with no prior warning. People with angina also may have undiagnosed episodes of silent ischemia. One diagnostic tool used today is to perform a 24-hour portable electrocardiogram where the person’s heart under investigation is monitored for a period of time to detect attacks of ischema. Silent ischemia may also disturb the heart’s rhythm. Abnormal rhythms such as ventricular tachycardia or ventricular fibrillation may interfere with the heart’s pumping ability and can even cause fainting or sudden cardiac death. If ischemia is severe or lasts too long, it can cause a heart attack (myocardial infarction) and can lead to heart tissue death. In most cases, a temporary blood shortage to the heart causes the pain of angina pectoris. Silent ischemia has no symptoms. Researchers have found that if you have episodes of noticeable chest pain, you may also have episodes of silent ischemia. Want to know more about Ischemic Heart Disease? The Britsh Heart Foundation provides information on your Heart Health and is an excellent source of additional reading on all heart related heath problems.